Here are three finishing tools that are very useful for controlling surface sheen and removing surface imperfections. 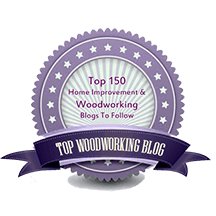 I am discussing them here because among woodworkers these are probably generally less known than most finishing products and each has earned a solid place in my lineup. Fibral Abrasive Wool can be used in place of steel or bronze wool. My sense is that the “Fine” wool, listed as 800 grit, is about equivalent to 4/0 metal wool. However, Fibral is a fundamentally different product than metal wool in that the abrasive grit which is bonded to the fibers, rather than the fibers themselves, does the actual cutting. While in this sense it is like Scotch Brite, it has the advantage of metal wool in that a wad of it can be formed into any size and shape. Fibral is much more pleasant to use than steel and bronze wools and has almost completely supplanted them in my shop. I use it for everything where I formerly used metal wool, such as for controlling the final sheen of finished surfaces, especially irregular shapes, and for removing small imperfections. It can also be used like metal wool for smoothing dust nibs between coats of finish. For accessible flat surfaces, however, a light touch with fine sandpaper is still better and faster for that job, particularly since, as Bob Flexner teaches us, steel wool and grit-fiber products round over dust nibs rather than cut them off. Fibral, also available in medium and coarse grades, is not widely sold but can found at Beall Tool Company. Mirlon Total is a wonderful product that combines surprisingly aggressive cutting action with great control and comes in ultrafine grits. It is densely grit-coated fiber available in 360, 1500, and 2500 grit pads and rolls. The two finest grits have become indispensable in my shop. For certain film finishes, especially water base poly/acrylic, I rub out the final dried coat with a 2500 pad (sometimes 1500) to produce an even, delicate satin sheen and remove all imperfections. A light buffing with wax completes the look. To work flat surfaces, I usually wrap the pad around a felt block. The pads are very flexible to easily get into confined areas and can even be crumpled to work almost like steel wool or Fibral but in finer grits. Mirlon Total is available in packages of three pads from Woodcraft, but a Google search will turn up at least several sources selling in quantities of 25 for less than half the unit price. By the way, for the rare times when I need to cut back and level a fairly heavy film finish, such as on a table top, these are not the products of choice. Sandpaper is best for that job. The third “product” that bears mention along with Fibral and Mirlon Total is Bob Flexner’s tip to use the slightly abrasive property of brown paper. Just tear off a piece from an ordinary supermarket brown paper bag and use it for ultrafine final rubbing out of finished wood. If you’ve spent hours handling brown cardboard boxes, the effect on your hands must have convinced you of the abrasive action of heavy brown paper. The project ain’t over ‘till it’s finished. These reviews are unsolicited and uncompensated.